Great way to reclaim a "happy accident!" While I like using the shading, not using it is also beautiful ... especially if you want to be able to see the original pattern. Nicely done. 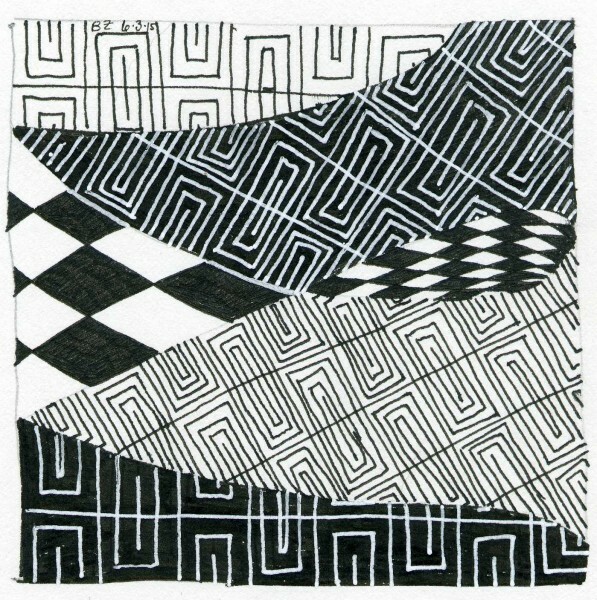 I love the variety of ways you have drawn this tangle and the black and white variations add so much to it. I think that you are right, in some cases shading is not necessary. Nicely done!